Includes: Bicycle and Helmet, Fresh young coconut, 1 stop for a snack Group leader. N.B. Please book 1 week in advance. N.B. Please book 1 day in advance. Time: Saturday & Wednesday : 10:00 – 16:00 hours. Time:	15.00 Collected from the Hotel By long-tailed boat to Leamsai Pier Visit Lobster farm, one of the biggest natural aquariums on the island. By long-tailed boat to Laemhad, a white, sandy beach of clear water. 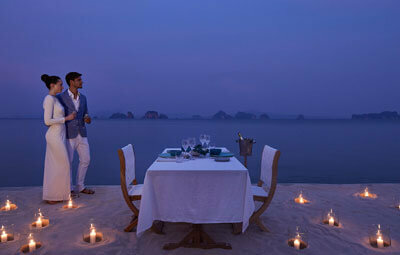 (Take swim suit and bucket-and-spade) Optional trip to Koh Nork for a stunning 360º sunset view. Stout shoes required for trek to summit. By long-tailed boat from Laemsai Pier for the trip back to the Hotel. 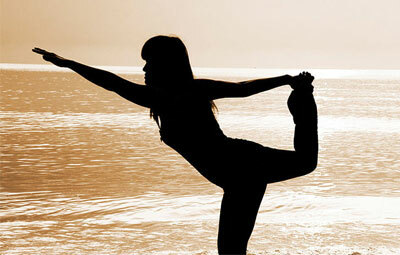 Includes: Transport to and from the hotel, drinking water and fresh fruit. 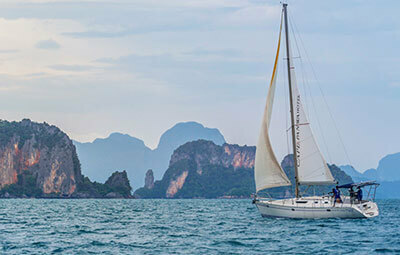 Take a long-tailed boat to Koh Hong to slip back into a forgotten world of deserted beaches and a vista of untainted nature. 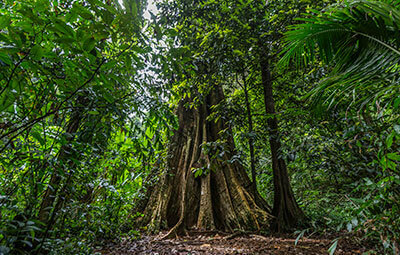 Sense the smells, the sights and sounds of a world long-gone as you sip your sparkling wine and feast on fresh fruit. 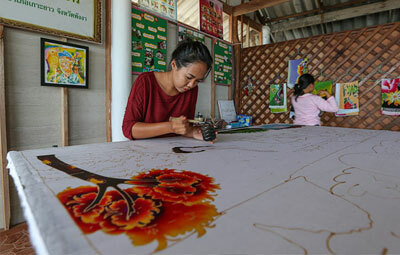 With an optional trip to Koh Pak Bia this idyllic afternoon becomes and outstanding, epoch-making experience. 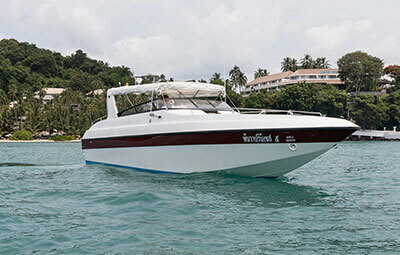 This Hong (Thai for ‘room’) can only be entered by dinghy or small motorboat from the shallow lagoon at high to middle tide, or from the open-water entrance on the south-western corner of the island at low tide. The hong, which gives the island its name, is a stunningly beautiful, enclosed pool with a large rock chimney opening to the sky. Once inside, you will find perfect opportunities for photography, relaxing or exploring. The noteworthy Mu Koh Hong archipelago is a most striking and unique rock formation. 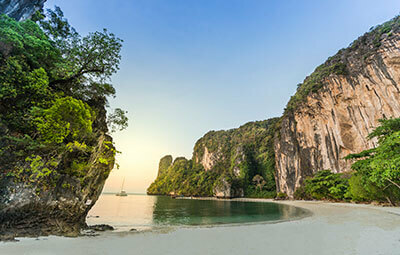 About 12 islets lay in line vertically stretching from the north to the south in Phang-Nga and the Krabi sea. 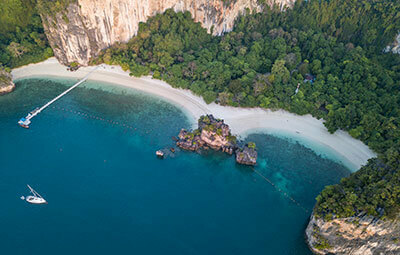 The island boasts attractions such as Ao Klong Son (Klong Son bay) a white sandy beach, surrounded by pine trees with a low cliff of colourful rock formations to one side. The bay is a magnet to those interested in coral. 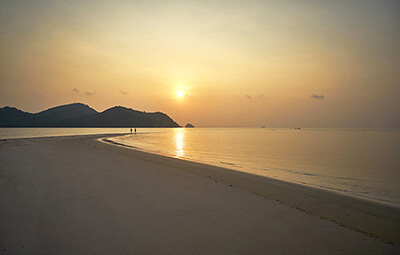 Ao Tee Kood (Tee Kood bay) also flaunts a stunning, white, sandy beach sheltered by shady pine trees. 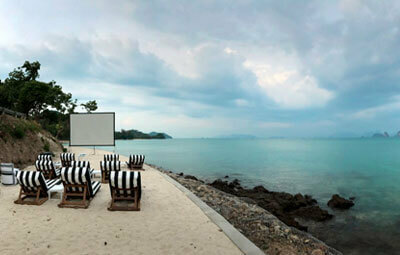 At Ao Hin Kong (Hin Kong bay) the beach is shaded by tropical forest although this area is not suitable for swimming. 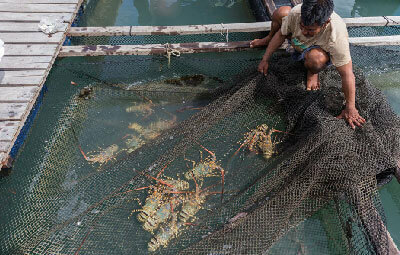 The speciality at this location is live fish and rays caught by the mostly Muslim village fishermen. 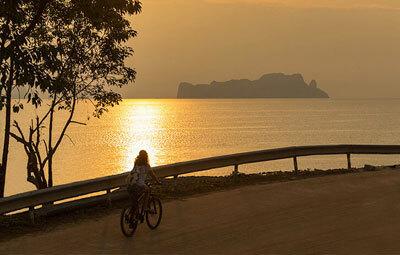 Koh Phak Bia is a charming island. 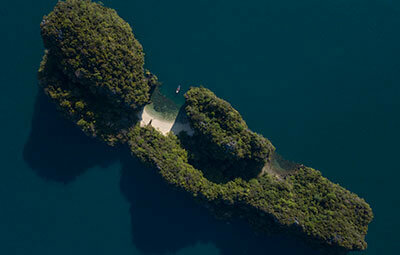 The most stunning spot is the white sandy cape, surrounded by clear seawater. 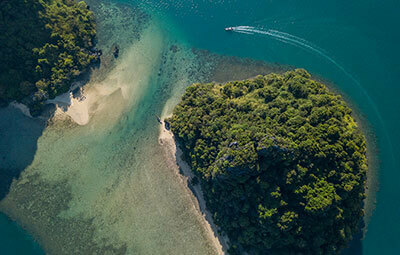 This is popular with visitors who can enjoy a 360-degree view of numerous tiny islands in the waters around Krabi, Phang Nga and Koh Yao Noi. Experience amazing snorkelling around the sandy cape and glide over colourful coral, only 50-metres away. 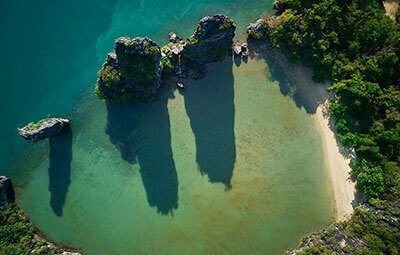 An island enveloped in natural beauty among clear waters and concealing secluded privacy, Koh Lao La Ding is a small island with a U-shaped white, sandy beach laced between limestone cliffs. It is inhabited by a group of people who have a concession on the swallows’ nests on the cave ceilings which they guard 24 hours a day. 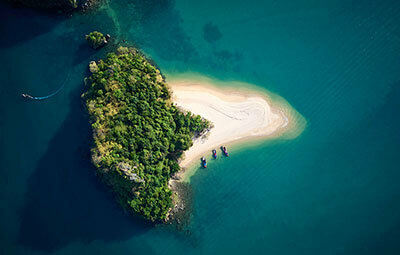 The island offers visitors the opportunity to explore and enjoy swimming in Paradise or enjoy sunbathing on the beach, snorkelling, and appreciating the fabulous sight of the emerald sea.